Fox: Holiday Shopping. Is the Consumer Back? 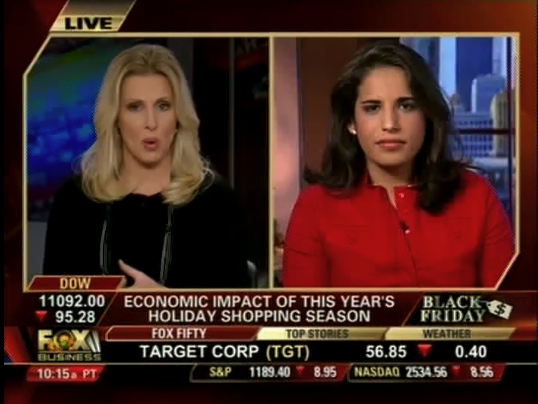 Monica Mehta joins the Fox Business Bulls and Bears expert panel to recap latest news on markets, the economy and black friday shopping. This entry was posted in Fox Business, Video. Bookmark the permalink. I agree with all that you said even if the other guest didn’t. David disappointed me in the position he took also. People are getting the money from somewhere to buy for Christmas. From what I hear from people that I work with they have gone back to their credit cards. Most are hoping overtime in the new year will help pay for this. This will show up on the credit card usage reports in a couple of months. Stay on track because it does my heart good to see someone younger than I feel the same way.